Welcome back fellow readers, and my oh my, it really has been a long time since our last lengthy post. Approximately two months, to be precise. Well, I guess that is what happens when you spend too much time staying up during the late hours of the night working on your projects, and obsessing about the hurtful abstract reality that is, let us just say, "attraction". Too add fuel to the fire, I even caught fever. Yep, to sum it all up, the past two months were stressful. On the bright side, I get to rest and relax while having a movie marathon. 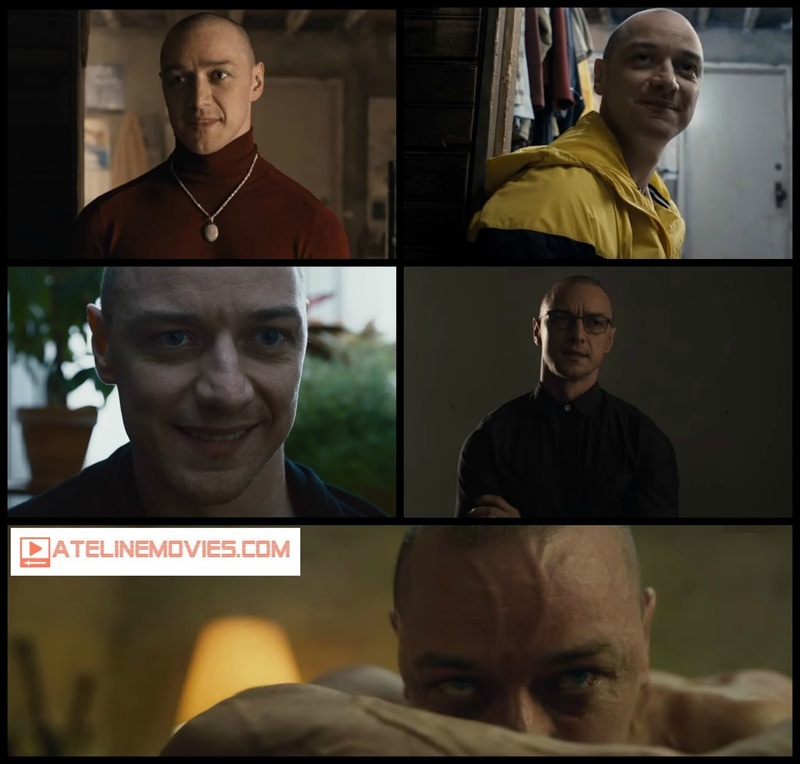 Split, the latest thriller from the infamous M. Night Shyamalan, is one of those movies, and mine and Dad's prayers have finally been answered. We will not go in to full detail on our insights pertaining to the movie just yet, but generally, this is a clear sign that the director of The Sixth Sense and Unbreakable (more on that film later) is back and better than ever. Could this just be another one-hit wonder? Dateline Movies hopes not, and so shouldn't you. Also, from here on out, all movie reviews will have the spoiler alert! Three classmates, Casey Cooke, played by Taylor-Joy (The Witch), Claire Benoit, played by Richardson (The Edge of Seventeen), and Marcia, played by Sula (Honeytrap) find themselves captured and at the mercy of a mysterious kidnapper diagnosed with a serious case of dissociative identity disorder, who is eventually revealed to be a man named Kevin Wendell Crumb, played by McAvoy (X-Men: Apocalypse). Aside from having obviously different behaviors, Kevin's body chemistry shifts as well per identity. Kevin, who possesses no more than twenty-three distinct personalities, including the obsessive-compulsive "Dennis", the manipulative "Patricia", the childlike "Hedwig", and the carefree "Barry", is preparing for the arrival of a terrifying twenty-fourth personality, who is only addressed as "The Beast" by the many identities Kevin has roaming around his mind. Fearing for their lives, Casey, Claire and Marcia must work together to escape the forthcoming wrath of The Beast. Meanwhile, Kevin's therapist, Dr. Karen Fletcher, played by Buckley (Wyatt Earp), is later tangled into the mystery when she learns that something evil, something sinister, is about to be unleashed within Kevin's fractured mind! Before going any further, we just want to notify everyone that we have made some minor adjustments in our scoring system. Since a film gaining a score ranging from twenty up to twenty-four, and being called a "Masterpiece" feels like an exaggerated expression, we have decided that only the movies that we review that earn a perfect score of a twenty-five will get the label, and as for those who earned above nineteen but below twenty-five, will simply just earn the title of 'Awesome!". Yeah, it is not the best title we can come-up with, but hey, it is better than nothing. 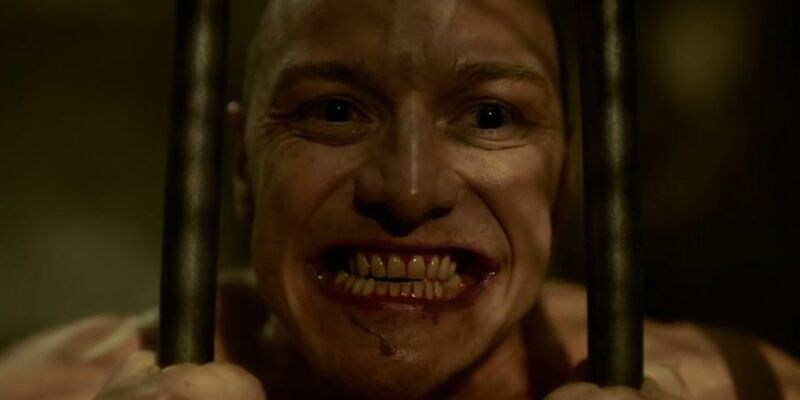 At the very moment I heard that M. Night Shyamalan is managing a new project with James McAvoy, who will all know as the young Professor Charles Xavier in the X-Men prequel films, I was more or less worried, as Shyamalan's recent track record seemingly showed that there was no chance at redemption. In addition, having a talented fellow such as McAvoy partaking in a potential failure could spell doom for his career. However, much of my skepticism was lifted once I saw the trailer, and after seeing the movie, it is safe to say that it was far from a disaster, and with it was the most spectacular work done by James McAvoy in recent memory. 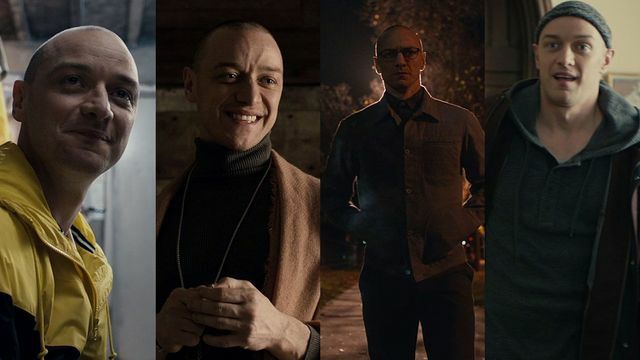 It certainly is no easy task to perform twenty-three (make that only eight, since there are only eight personalities featured in the movie) split personas, and McAvoy manages to pull it all off with flair. I mean, just observe how he portrays each individual personality, and notice how he managed to give each a unique voice, a different projection. Notice how he managed to balance the insidious and feminine side of "Patricia", with the immature nature of "Hedwick", the enigmatic presence of "Dennis", and the dreaded horror of The Beast, in various scenes. The best scene that truly showcased McAvoy's knack for acting is in one of the climactic sequences, wherein "Dennis", "Patricia", Kevin, "Hedwick", and two more personalities, "Orwell" and "Jade", struggle to gain control of Kevin's mind. It really is just remarkable to see how McAvoy acted each individual personality in a short time length. Of course, that is not to say that James McAvoy is the only good actor in the movie. Newcomer Anya Taylor-Joy, who made her big break in the horror art film The Witch (I watched it one time while my family and I were taking a break, and no offense to those who loved it, but I personally felt that it lacked something...someway, but it is definitely not terrible), and is now set to join McAvoy in the X-Men film series as Magik in the soon-to-come New Mutants flick, shines with promise. I admire how, as an actress who is only starting out, manages to deliver a performance that manages to make audiences root for Cassie Cook, a character whom she breathed life to. When you compare it to the other horror movies out there that feature overacting from actors and actresses of her age, she really does a terrific job in conveying actual emotion, especially in the final sequence of Casey Cooke trying to flee from the rampaging Beast. For our last main cast member, Betty Buckle, who to most die hard moviegoers might recall, was the weird grandmother in The Happening's notorious "What? No." scene. Yep, that was her sharing the screen with Mark Whalberg. With regards to her performance as the therapist caught in a big web of mystery, it is all around finely tuned. Despite the lack of focus on her character for clear and obvious reasons, Buckle still delivers a great rendition. As for the remaining two cast members, Haley Lu Richardson and Jessica Sula, there is not much given screen time for them to truly standout, and due to that, they fall to the usual "blink-and-dead" category, wherein they are expected to die as they are not the protagonists of the story. Despite that, both Lu Richardson and Sula still did some okay performances. Honestly, there is not much to say about the production value and cinematography, given that it is a pretty straightforward psychological mind-bender set in a closed underground area, and almost no CGI was used. In terms of the direction, however, there are a few details that I can go around on. The one thing that I love most from the movie is how it builds tension. The build-up is truly something that you would expect from a superior thriller, and the key scenes that highlight this claim include Kevin's slow transformation into The Beast at the train station, followed by the destructive Kevin making his way back to his hideout, complete with a spectacular score done by West Dylan Thordson that completely amplifies the suspenseful atmosphere of the movie, and Casey's final battle between her and the now completely deranged Kevin. The lighting is good as well, as it does not feature the usual overly dark corridors that prevent the viewer from actually getting a clear view of whatever it is happening in a certain scene, and it is well lit enough. Let me just say that the movie is not at all that scary, but it more than makes up for it in thrills and tight direction. Generally speaking, the story is very intriguing as well. The very concept of a character diagnosed of multiple identity disorder, and is suddenly manifesting supernatural abilities is always a very fun idea to explore in any form of media. I can notice some parallels to the all too familiar story of Legion from the Bible, and also the Legion TV show starring Dan Stevens, who is set to play the Beast (Oh the irony) in the upcoming remake of Beauty and the Beast. 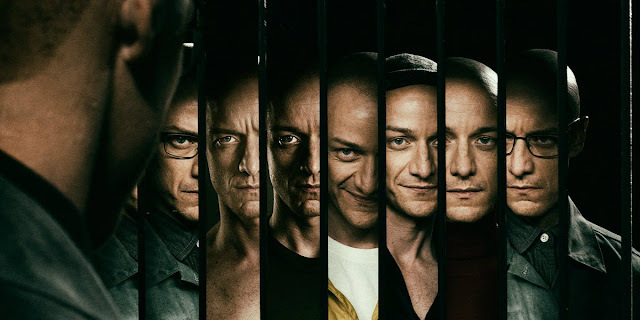 With the usual trope of a superpowered being with multiple personalities, I also expected a fairly unusual Shyamalan-esque twist that reveals either that Casey Cooke is actually the twenty-fourth personality, and the entire movie is actually taking place inside Kevin's mind, or better and even stranger yet, they are all, in reality, clones of himself. I will admit that I was a tad bit disappointed at the lack of the bizarre revelations that has soon became Shyamalan's trademark, but other than that, the story is plenty of fun, albeit cliched. The mystery surrounding The Beast, on whether or not Kevin can actually gain superpowers, on whether or not The Beast is even real, is predictable and not entirely shrouded in obscurity, as from a moviegoer's experience, and from you watching the trailers, you can easily determine that Kevin really does manifest some superhuman feats. But I believe the real mystery lies at how far can Kevin go with his powers, and by the climax, you will be left breathless in shock and awe at the unspeakable might of The Beast. Casey's backstory is beyond tragic, and yes, it is still predictable in a way, but there is no denying that it echoes the film's theme of "power through pain", in my own words, similar to what was tackled in Unbreakable (more on that film later). In flashbacks, we are told that Casey suffered abused at the hands of his uncle, played by Brad William Henke (Fury) who took her in after her father, played by Sebastian Arcelus (Ted 2) died. The flashback that showed the uncle asking the young Casey to "act like animals" with her is creepy, and it definitely adds some necessary character development for Casey. Not only that, it really does make you wonder if the suffering one goes through actually makes them stronger, in a sense. With regards to Kevin's complete backstory, it is also predictable, but who will care when the movie is as thrilling as this? I know I would not, even Dad. Like the usual flicks, Kevin came from a tormented childhood, as he was frequently abused by his mother. There is one aspect of Kevin's origin story that I admire, and that is the part wherein Kevin decides to create the various identities to become better versions of himself is rather intriguing. It is melancholic. It is somber. It is very, very relatable. It is something that feels like that is straight out of one of my favorite comicbooks, and Dad and I are avid comicbook enthusiasts. However, as we mentioned again and again awhile ago, the film is frequently swarmed by a handful of typical overdone tropes, specifically most of the jump scares. One instance of a scare being incredibly predictable is during that part when Haley Lu Richardson's Claire Benoit tried to escape, only to be captured by "Dennis" while hiding in a locker. Yes, it is all there, including the sudden pause in the background music, the shift in the camera's perspective to Claire's, and the sudden appearance of "Dennis", and it is all very predictable as you would have imagined. But mind you that there are certain cliches that really cannot be avoided, and besides, this is only one instance. 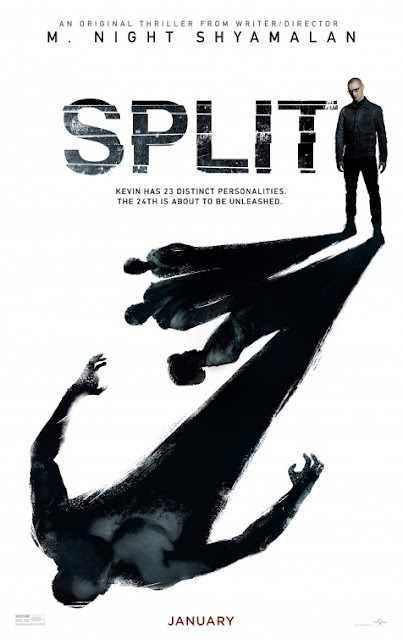 Overall, the story fictionally dabbles the topic of split personalities, with the added twist of superpowers, all the while trying to avoid cliches here and there, and the result is anything but a boring, gray experience. There is actually more to say about the ending of the movie, but I decided to reserve that for our next segment. Trust us, you will not believe what you are about to see by that part. But before the supposed amazing, best moments of the film are shown, we need to see what happens next for Casey, and in a typical thriller fashion, it does not go smoothly. Worried that the actions of both "Dennis" and "Patricia" could do more harm than good, "Barry" decides to send a barrage of emails to Dr. Fletcher, who just made contact with "Dennis", who in turn reaches out to Dr. Fletcher with regards to his struggles with the coming of The Beast, during a therapy session of "Barry's". She makes her way to Kevin's hideout, wherein after engaging in a small conversation with "Dennis", again about The Beast, she discovers Claire in a locked closet, and with a canister of knock-out gas in-hand, "Dennis" knocks her unconscious, and imprisoned with the rest of the three girls. "Dennis", for some reason, leaves for awhile in a cinematic and chilling sequence featuring him purchasing flowers, and transforming finally into The Beast as the mindless Kevin rampages back to his hideout. Okay, this is admittedly one of the most thrilling scenes in the movie, but we need to ask ourselves, "why on Earth is there a need for Kevin to walk outside for awhile then transform?" As Dr. Fletcher regains consciousness, she is greeted by the sight of a now fully morphed Kevin, who has embraced The Beast persona, and after trying, and failing, to kill Kevin, Dr. Fletcher is crushed to death by The Beast's immense strength, then proceeds to devour the bodies of Casey's peers. With a convenient note from Dr. Fletcher, written before she died, Casey says out loud "Kevin Wendell Crumb", which brings back Kevin, who has no past recollection of recent events. After advising Casey to kill him with a shotgun, "Orwell", then "Jade", then "Barry", then "Hedwick", then finally "Patricia" allowed The Beast change the world by sparing those who have truly suffered, both physically and emotionally, deeming them as "impure". That scene was a blast in so many ways, mainly because McAvoy was able to switch characters in mere seconds. That is a tough act to pull. Wait, are they telling me that all I have to do is say his real name loudly, then he will be temporarily be incapacitated? You know what? Maybe I am taking this movie way too seriously. I will shut-up about that part, right now. As Casey tries to make her escape, The Beast prepares to slaughter her, only for The Beast to notice her wounds, and declaring that her "heart is pure", sparing her in the process. Kevin, now fully controlled by The Beast, accompanied by "Dennis", "Patricia" and "Hedwick", are ready to do more evil things, hopefully for a sequel that is just as awesome as this one! But what happened with Casey? Well, she is found by some security detail, which reveals that the hideout is actually the basement of a zoo. She is then escorted by the police back to her home, but before that, she glares silently, signalling that she finally has found the courage to report his uncle's misdemeanors. All in all, this was an okay ending, albeit, like I said, familiar in certain parts, especially the part wherein Casey was spared. While it could be expected that the protagonist will meet her maker, only a few movies actually did that. Then again, not all movies have to be tragic in endings. But wait, there is more. Now, this is interesting. A post-credits scene, featuring Bruce Willis reprising his role as David Dunn from Unbreakable? Hold on a second, if Split is basically a follow-up to Unbreakable, then that means.... an M. Night Shyamalan cinematic universe is confirmed! Okay, okay, we might be getting tired of all of the shared movie universes out there, in addition to the fact that having two rivaling franchises is enough to keep a human being completely drained of money, but think of the possibilities that the series can go! Would we be seeing a superhero team-up? Could there be more superhumans just like them? Man, I really cannot wait for what is to come! Oh well only time will tell. While it still succumbs to merely a handful of thriller cliches, this movie is a clear sign that M. Night Shyamalan's creative persona is back, and ready to shock viewers, thanks in part to a standout performance from its lead. Split features not only a stellar and spine-chilling performance from the one and only James McAvoy, but it also contains an interesting story, making this an above average thriller that will keep viewers at the edge of their seats! What has M. Night Shyamalan in store for his upcoming film series remains a mystery, but we can all hope in anticipation that it will be nonetheless promising. And that concludes our latest movie review. Also, for the succeeding days, we will be posting more movie reviews, because I am currently in the mood to make them, given that I have watched a lot of great films already, with most of them being dramas and romantic films. Remember, "affection" was a key element in my two month adventure, and aside from that was the school work, and a little game known as Fallout: New Vegas. Also, did anyone watch the Best Picture mix-up during the Oscars? If you haven't, watch the Steve Harvey-ish moment below. Stay tuned for more Dateline Movies!